Those of you who have been doing business with us for the last while may have noticed a new person around at The Wren > Sonja! With an Interior Design background Sonja von Maltzahn began working at The Wren in July 2014. Sonja’s idea was to assist creatives in all aspects of their business. There are so many designers in Cape Town who are one-man (or woman) companies and although they need help, cannot afford full-time help. I definitely needed an extra pair of hands helping run the business so I jumped at the opportunity to bring her onboard. It has been a brilliant partnership! Sonja helps manage certain client accounts, pack orders, send invoices, load data, pack production packs, oversee parts of the production process …. and the list goes on. When there is something that needs to get done, Sonja jumps in, she is never afraid to try. 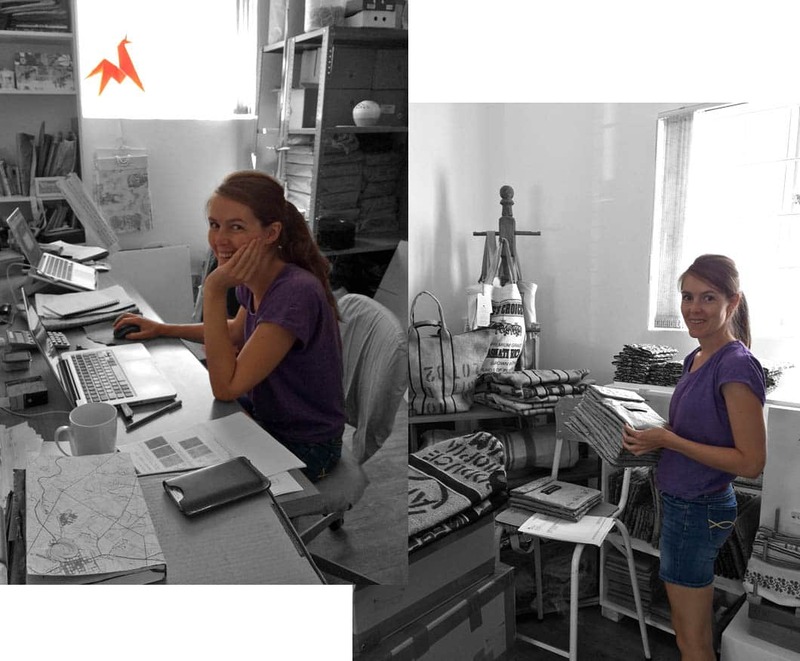 Sonja is a jack-of-many trades and now assists several designers since starting with us last year! Over the past two months whilst I have been on partial maternity leave Sonja has really stepped in to keep the company going and I am extremely grateful. Without her it would have been very difficult, if not impossible, to keep shops stocked and production running for our contractors. Thank you Sonja! You are a gem! This entry was posted in Blog and tagged business aupair, creative assistant, helper, Sonja Von Maltzahn, wren design.